The Board of Directors of Aicon, an Italian group based in Messina, which specialises in the design, production and marketing of luxury motoryachts and megayachts, met today in Milan and passed a resolution to implement a new corporate governance system which sees the nomination of a second CEO. Tiziano Lazzaretti, newly elected by the Board of Directors as the Company’s CEO and General Manager, will start as of 1st April 2008. The new organization chart sees the Group’s President, Lino Siclari maintaining his role a CEO in charge of the Business Development, Production and Strategic Planning Departments, supported by Tiziano Lazzaretti who will be CEO in charge of the Administration, Finance & Control, IT, Human Resources, Legal & Corporate Affairs and Risk Management Departments. Lazzaretti will also be CFO of the company and act as coordinator of all the Group's Investor Relations activities. The Group’s Strategic Planning activities will be assigned to Gaetano Visalli who leaves his position as CFO and Member of the Board of Directors, having concluded the procedure which brought to the Company’s listing. Originally from Turin, Lazzaretti obtained his Economics degree at the University of Turin and started working in Fiat’s Planning and Control division. After his MBA (financed by the same Fiat) at Luigi Bocconi University he moved to London to work for Gruppo Fiat’s Corporate Office, where he became CFO and Deputy Chairman of Fiat UK. In 2001 he accepted the entrepreneurial challenge of the London-based consultancy firm Power Consulting Company, in which his position as Financial Vice President made him responsible for the company’s reporting and strategic support. Still in London, in 2004 he moved on to Accenture and was in charge of the financial organization for outsourcing contracts for pan.-European clients. In 2005 Lazzaretti returned to Italy to take on the position of CFO at Snia, a historical company of the Italian industrial world. The Board of Directors also passed a resolution regarding the euro/dollar exchange rate and the altered conditions of the US market, to alter the Group’s marketing strategy in the US using a network of brokers to sell Aicon motoryachts and megayachts directly to final clients. In addition, considering the altered context and market, the Board of Directors communicates that it has started a review of the Industrial Plan presented on 25th October 2007, the conclusions of which will be made public in the half-yearly report of the nautical year 2007/2008. Cantieri di Baia have been awarded for building the biggest open ever built in Campania. A jury of experts acknowledged the shipyard’s merits in domestic and international development of Naples Enterprises in yacht building. Roy Capasso, marketing manager of Cantieri di Baia, received the award, during the ceremony of Nauticsud Award. Baia was also awarded during the gala event organized by renowned Italian Yacht Capital magazine and Alfalyrae in the wonderful location of Circolo Savoia. Antonio Capasso collected the Alfalyrae Yacht Capital Award 2008, awarding Baia for technological quality excellence and winning sales and export strategies of the product, leading the Campania boat builder at the top of its sector. Cabo Yachts, one of the world's top builders of sportfishing boats, is proud to announce the debut of its new factory demonstrator, the Cabo Uno. 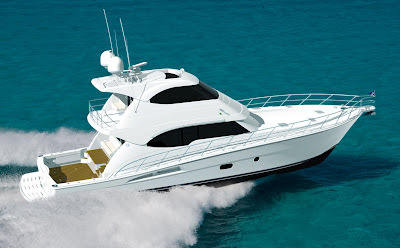 Cabo has chosen its newest model, the 38 Flybridge, to launch this new factory program with the belief that this model will help to secure Cabo's place as a leader in the sportfishing boat industry. 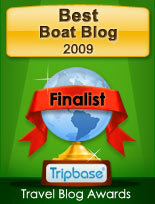 The Cabo Uno will be seen this winter (2008 or 2009), fishing at the Cabo Cup tournament circuit throughout Florida. Cantieri Navali Lavagna announced David Pranzini as the new CNL Sales and Marketing Director. Born in 1971 in Bologna, David Pranzini has an Economics degree and an MBA at the Management School of the Bocconi University and several years of experience in yacht leasing before joining CNL. After two years at the Selmabipiemme Leasing, a company of Mediobanca Group in Milan, where he managed distribution channels and developed new products, he joined the Compagnie Monegasque de Banque (another company of the Mediobanca Group) in Monaco as Director of SMEF (Societé Monegasque des Etudes Financières) and specialized in financed assets for large pleasure craft, including charter vessels. David Pranzini will attend to the sale and commercial development of CNL, giving this new appointment evidence of the strategic journey of growth and impact being pursued on the market by the Group. Cantieri Navali Lavagna is leader in the construction of fully customized planning maxi yachts in aluminum alloy from 32 up to 44 meters. CNL Admiral will also launch its biggest ever yacht, a 54 meters built with steel hull and aluminum superstructure to be presented in July. After the success of the previous four events, this year Ferretti Group renewed its customary appointment - Convergence - the training and refresher courses organised exclusively for Ferretti Group yacht and megayacht Captains, in Rome. For the very first time, Convergence and Convergence Navi were organized as a single event, featuring distinct, separate training courses. The decision to organize a single, longer appointment, with even more technical content, and to choose Rome to link Ferretti Group to its Italian culture, was a winning idea. Indeed, almost 200 captains from Europe, the USA, the Middle East, New Zealand and Australia attended a highly interesting few days, also thanks to the participation of Service Managers from all the companies present to meet captains personally and respond to their many questions and requests for explanations. The technicians of MTU, Official Main Sponsor of this year’s event, Rolla, Saim, and ZF were at the disposal of participants, offering their experience in a specially fitted out area. Moreover, the presence of other sponsors, such as Besenzoni, Catef, CCLG, Idromar and Studio Ti, contributed to making this year’s Convergence an opportunity to further increase their knowledge. As on previous occasions, Convergence was organised in meetings and classroom sessions in order to make an in-depth study of all the main topics concerning the daily management of motoryachts. It featured training workshops; technical presentations by motorisation, component and on-board systems experts; updates relating to medical and legal issues; and practical training. Moreover, a round table was organised with the aim of discussing and making comparisons regarding the more complex aspects of the daily management of motoryachts and the experience of each of the participants. Convergence also featured a number of team building activities, specially studied projects both technical-training and more entertaining, such as the treasure hunt to discover the capital’s artistic beauties. As always, Convergence provided participants with the opportunity to compare experiences, and was crowned by an exclusive Gala dinner in the prestigious location of Palazzo Taverna in Rome, which Group CEO Vincenzo Cannatelli and the brands’ Chairmans and CEOs attended. The installation of the ARG (Anti Rolling Gyro) system on Ferretti Group yachts will continue as a world exclusive until 2011, thanks to the renewal of the agreement with Mitsubishi Heavy Industries. For the past five years, this revolutionary system has been successfully installed on yachts from all 9 of the Group’s brands, and features extraordinary innovation in nautical technology. It allows for a reduction of over 50% in the rolling caused by wave movement, making life on-board Ferretti Group yachts particularly comfortable and pleasant both during navigation and when the yacht is moored. Ferretti Group, managed by Chairman Norberto Ferretti and CEO Vincenzo Cannatelli, at the very top of the international luxury yacht segment thanks to unique portfolio of the most exclusive brands in the nautical world (Ferretti Yachts, Pershing, Itama, Bertram, Riva, Apreamare, Mochi Craft, Custom Line and CRN) chose Leo Burnett, Giorgio Brenna’s agency, to develop the company’s corporate communication. 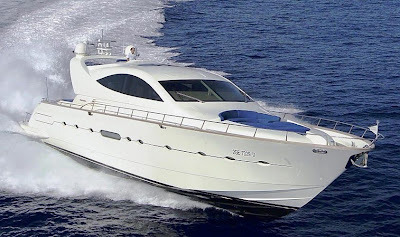 Ferretti Group closed its financial statements on 31st August 2007 with a Production Value of 933 million euros and a gain of 21% compared the previous year. Leo Burnett will develop the project under the leadership of Guido Chiovato, with a team integrated with Arc, and will cooperate with Domenico Pirazzoli, Ferretti Group Communication Manager. Maurizio Roman has joined Ferretti Group as CEO of Ferretti Yachts and, ad interim, of the Custom Line and Mochi Craft brands, reporting to Ferretti Group CEO, Vincenzo Cannatelli. Fifty-five year old, Mr Roman comes to Ferretti Group from Technogym, world leader in the sector of fitness and wellness equipment, where he held the position of CEO for five years. Prior to this, he worked as General Manager, in a number of Italian industrial companies in the mechanical sector, including Aprilia Moto, Benetton Sport System and Beretta. I am certain Maurizio will continue to achieve the success he has had so far, commented Cannatelli. His experience and in-depth knowledge of the most dynamic industrial companies will strengthen Ferretti Group, helping it become increasingly better prepared to grow and to deal with the new challenges presented by worldmarkets. February 21st, 22nd and 23rd, 2008: were the three dates for the first, eagerly awaited appointment of the Riva Trophy overseas. 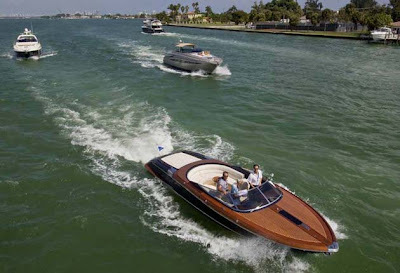 For the very first time Riva brought together its American owners, who have made Riva boats their irresistible passion, in one of the country’s most exclusive cities: Miami. It was an exciting weekend during which many curious come to admire the numerous Riva craft moored in the harbor, Miami Beach hosted both Riva’s classic models in wood, “living” witnesses of the company’s long history, as well as the latest innovations and the most recent fiberglass models, among which the 63’ Vertigo and the 75’ Venere Newport Collection, previewed at the latest American boat shows. A rich agenda characterized the three-day-event: excursions to the exclusive and private Fisher Island, competitions such as the reliability race that took place in the splendid setting of the waters off Miami, and relaxing breaks at the most prestigious hotels of the American city, symbol of the avant-garde design. A unique mix of style, play, elegance and amusement able to create convivial occasions and imaginative competitions portrayed the event, involving the participants in different activities scheduled over the three days. Fil rouge of the meeting was obviously Italy. The attendees lived in fact a truly Italian Experience through the competitions, the excursions and, most of all, through the lunch at the “Patio” club and the dinner at a well renowned Italian restaurant. As usual the partners participating to this first Riva American event were Credit Suisse, that involved the guests with a mysterious and exciting treasure hunt in the villas of Fisher Island, Veuve Clicquot, organized a crowded bocce game on the beach, and Vini Pasqua. The Gala Dinner was set in the enchanting Moore Building, former furniture showroom in the Design District and now a suggestive location for art exhibitions and events where is placed a permanent installation made by the famous architect Zaha Hadid, and it concluded the thrilling and sunny weekend with an awards ceremony followed by a dancing night. Sea Ray Boats is pleased to announce that it has won two Gold Mercury Awards, one for its stunning full-line product catalogs and another for its outstanding multi-channel advertising campaign promoting AquaPalooza 2007, the world’s largest on-water celebration. The Gold status makes each entry eligible for the Best of Category and Best of Show awards; both will be announced in mid-March. The Mercury Awards, now in their 21st year, were established with the purpose of advancing high standards of achievement in professional communications. They are administered by MerComm Inc., the world’s only independent awards organization. This year’s competition received nearly 1,000 entries from 23 countries, including Australia, Belgium, Germany, Canada, China, Hong Kong, India, Sweden, South Africa, Spain and the United States. The Buyout Track 100 best brand award sponsored by The Sunday Times was presented by business editor John Waples to Sunseeker earlier this week at a special awards dinner attended by the owners and directors of Britain’s 100 fastest-growing private equity-backed companies. The second annual Sunday Times Deloitte Buyout Track 100, league table ranks Britain's 100 private equity-backed companies with the fastest growing profits over the last two years. Britain’s top private equity-backed company stars were presented with a series of awards, ranging from best brand and best management team, to the top company. Backed by Bank of Scotland Corporate, Sunseeker International is the world’s largest privately-owned yacht builder and the largest producer of motoryachts over 80 feet. Poole-based boat builder Sunseeker looks set to recruit more than 250 extra workers this year. The expansion, which follows a glut of new boat orders taken at the London Boat Show, comes on top of 300 new jobs at the company in 2007. Most of the newcomers will work at the company's facility at Osprey Quay in Portland. The latest Di Donna 30 Serapo is the new entry level model, designed around traditional Gozzo lines. The central Italy Lazio located builder, built and designed an innovative Gozzo type boat, featuring some modern unseen features like a sloop stern, central transom door and an integrated extended bathing platform. It seems the Roman builder projected a classic influenced design filled with very important modern solutions making life on board more pleasurable, projecting to reach new clients interested most of all for a practical craft. The small Serapo interior is a J-shaped saloon dinette, with the forward section transformable to a spacious double vee berth and a spacious separate shower head located to starboard. 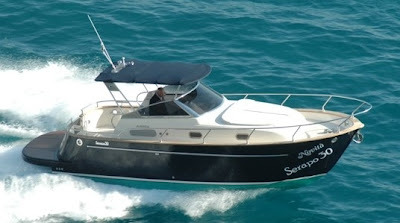 Outside is the heart of any Gozzo, and the 30 Serapo does not disappoint with a spacious aft cockpit and a deep all round deck, something not found in a nine metre sized boat, giving high safety but also the feeling of a bigger boat. The new Pershing 80 at 24 metres is a much waited model in this size from this renowned builder, filling the gap between the 72 and 90 models, left empty with the stop in production of the 76. The new Pershing as has been for the Pesaro builder since it's early beginning in the eighties, continues the collaboration with renowned yacht designer Fulvio De Simoni, who created an exterior profile similar to the successful 72, latest introduced model of the range and rumour has it sold out till 2010. The new Pershing will have an all around deck, with the forward section reserved for lounging, thanks to the much requested c-shaped settee / dinette and a sunbed. The interior is divided in three separate areas: main deck area reserved for entertainment with the upper saloon, dining and helm station, lower deck area reserved for the 4 cabins for the owner and his guests and the crew area adjoined with the galley midships, for maximum privacy and connection with the main deck. The new 80 will have the usual Pershing 40 knots plus performance, but also technical innovations as seen in the latest models, transforming a closed hard top into an open entertaining area should be found in this soon to come super sport yacht. The Pesaro builder seems to want to make the 2008 year one to remember, of newly introduced models if this will take shape also this year. That will be some kind of record with a total of three new models all of important sizes: the 64 announced in Genova as a project, the 80 and now the 108, filling the empty size between the 90 and the 115 flagship of the range. As is the case of the 80 and the 64, Fulvio De Simoni continues his follow up of the design introduced with the 72, especially for the upper coach roof lines, giving variation of the theme with unique characteristics for each model. Little information is so far available about this project, but designs show also the much requested feature of a sport flying bridge / upper deck for entertainment, of which I imagine a second helm area will be available as optional. What will be for sure standard from Pershing, is the usual high performance but also the Moving Idea concept of transforming various environments on board the yacht as introduced with the 72 about a year ago. New flagship of the legendary Posillipo shipyard is the much waited new 120 Technema. Presented as a project, in 2006, Architect Galeazzi was trusted to design the new flagship, following his work for the yard on the successful 95 Technema model, launched in 2004 and delivered in over 10 units. Galeazzi upon starting the project had only one recommendation from the shipyard, that to develop the Posillipo Technema style in perfect harmony, following the tradition and history of the brand. A style recognized from miles away since the yard was founded in 1942 and then increasing it's popularity thanks to innovations like the lateral hull wings and wrap around flybridge windscreen as seen on the legendary 52 Technema in 1985. The new Technema 120 is a planning super yacht of two and a half decks, with a forward full beam section, and forward walking deck next to the command deck, all characteristics that are usually found in bigger yachts. Standard accommodation plan is a five cabins layout with owners suite on the main deck, with an alternative version with a second lounging saloon, replacing owner stateroom on the main deck available. As is in all Posillipo Technema yachts, from the small 65 to this new flagship, the builder follows a highly custom and personal project putting owners wishes into reality. Powered by two MTU of 3650 horsepower each, new 120 Technema has estimated speeds of 29 knots, with cruising at 26 and a range of 900 nautical miles. Riviera’s new flagship 70 Enclosed Flybridge may be some months away from official launch at Sydney International Boat Show at the end of July, but already the company has taken orders for four of this imposing new model. This majestic new flagship of the Riviera fleet is a four cabin, four bathroom model with sleeping capacity for up to 14 people, including 10 in the cabins. One of the many innovations that have captured the imagination of owners is the massive master stateroom across the full beam of the boat amidships. The boat is fully air conditioned throughout, including separate units for the flybridge, saloon, dining area, galley, all cabins and bathrooms. Riviera invested an enormous amount of planning and technology into this new flagship, working closely with superyacht naval architect Frank Mulder on the running surfaces and completed a great deal of tank testing at his facility, creating the most advance tunnel hull design and underwater exhaust systems for the new flagship. The Riviera 61 Enclosed Flybridge brings many new and exciting innovations to Riviera’s flybridge range, especially a magnificently crafted unobtrusive internal staircase that leads you from the saloon door up to the flybridge level. As well as providing dry, safe and easy access to the flybridge, this design also affords the luxury of incorporating a hinge-up awning window in the saloon aft bulkhead, thereby opening the saloon up to the cockpit. On this model, the awning window concept is further extended to include the same format on the flybridge level, opening up to include an aft-facing lounge. The standard accommodation offering is four cabins and three bathrooms with the master stateroom amidships, a guest stateroom forward and two cabins on the starboard side. An optional layout is three cabins and three bathrooms, with a larger stateroom forward, an athwart ships lower berth in the aft starboard cabin and the option of either a private lounge or a writing bureau in the forward stateroom in the place of the fourth cabin. The running surface and chines, continues the design consultation with internationally renowned naval architect and superyacht designer Frank Mulder, who has optimised for a soft and dry ride hull, incorporating tunnels into the aft running surface providing a reduced draft and propeller shaft angle for better performance and efficiency. Power for the short term flagship model will be from two Caterpillar of 1015hp which will feature an underwater exhaust system helping to reduce fumes and engine noise. The Overmarine Mangusta 130 S is a new interpretation for the successful 130 model, featuring an upper flybridge lounging area and a separate raised pilot house position. The concept of the raised helm area is not new for Overmarine, using a similar concept in the past for it's 92, 100 and then 105 models, all of which at the time where the biggest produced open yacht. In respect to the standard 130, the 130 S gains space with a full deck reserved for entertainment, divided in 2 separate areas in the standard plan offered by the builder and an extra upper outdoor deck on the flybridge. The first launched version had the fly reserved for lounging use with no helm, but if one would want a second helm station it can be fitted being Overmarine a renowned custom builder ready to make customers wishes into reality. The concept for using the upper hardtop space in the big opens of 24 metres plus seems taking shape very often during the last year with the new introduced, bigger models showing this option. Overmarine already showed this concept in the biggest Sports Yacht in the market today, the Mangusta 165 but it also put the foundations in the past for raised helm area in it's past models or the current S line. Four years after it made its official debut, the model that confirmed Tecnomar's leading position in the Super Sport Yacht segment presents its first restyling and also adds many new features. At first glance, the new 35 Velvet impresses for its wide windows ahead of the hard top roof. The shipyard always emphasizes the play of light and shadows when designing its models, but in this most recent version, thanks to a new skylight windshield the designers take this to the next level, by combining even more aggressive dynamism of lines with more light and a spectacular panoramic view from the main saloon. Particularly noteworthy is the play of light and shadows that fills the spaces under the deck through wider windows in the hull and especially through the glass surfaces in the living area. 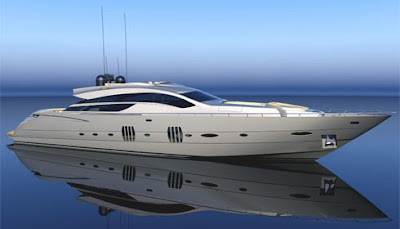 Remove the roof and there you have a luxury flybridge yacht! After many years of great success for open hard top yachts, Tecnomar is confident about the sport flybridge design and the increase in the market share being the natural next step for the the big opens evolution. The Velvet's new 35-meters will further develop its standard version in this direction, even if open-yacht fans will still have the chance to install a fully automatic full hard top roof. The sun bathing, living area forward has also been restyled to the previous 35 Velvet and imitates the successful solution shown in the Velvet 100. Careful observers will be sure to admire many other restyling enhancements when the new model will be officially presented this spring. Rizzardi continues the principles of design, reliability and technology with the new InCRedible line, the one word of the modern philosophy of technical solutions that in the past four years launched this prestigious name in the nautical panorama of the new millennium. On the approvals of the founder, the 45 InCRedible appears on the scene the natural evolution, the InCRedible 55, that goes on with the design by Damiano Rizzardi and InRizzardi technical staff, developing original concepts that enlarge the spaces offering unpublished solutions. The traditional force is privileged, guaranteeing stunning performances and safety in any type of sea condition thanks to a hull of Posillipo-Technema origins, with the typical lateral runner that becomes an integrated part of the elegant and aggressive design for this open of new generation. The full beam of the boat is an interesting and strategic feature finalized to emphasize the interior areas, following contemporary market requests. The deck has a clean and functional profile, characterized by a comfortable and spacious sun area placed on the fore wheelhouse stern of the technical area. The logo of the 'CR' brand integrates with the windscreen, a characteristic sign of the InCRedible philosophy. The major development of the surfaces allowed to obtain lateral windows of wide dimensions and to maximize the 'open' sensation. 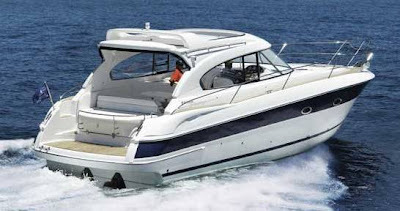 At stern under the wide sun area, a garage for the tender or the jet ski is located, new version for the open Rizzardi. The hauling and launching operations will be simplified by the rotating hydraulic gangway with crane functions. In the inside the 55 offers a functional environment with a great and intelligent habitability, especially in the the 2 mid ship cabins that can be transformed from 2 singles to a double VIP bed thanks to an electronic movement. As Rizzardi's tradition it will be possible the total personalization of the fabrics, upholstery and fittings as well as the choice of the chromatics matching for the hull, deck and superstructure, in order to offer the owner the possibility to own a unique object, made to measure the proper requirements. Engines horsepower options is from 900 up to 1100 MAN with shaft line transmission or "Top System" surface drives with top speeds ranging from 36 to 46 knots. Sessa Marine announces the development of a new 65 feet boat within the open hard top segment. After the launch of C52 and C46, a new pearl will join the Sessa Marine fleet the C65, result of a team work of excellence: Christian Grande for the design, Arnaboldi Studios for the waterlines and Sessa Marine Engineering department for the manufacturing. The first big challenge is the design: the boat will represent the stylistic innovation that Sessa Marine showed during the last years, being one of the most innovative manufacturer in terms of design and style. The challenge now is to introduce a new boat with exclusive details of style with new materials that will be the trend for next years. We can say that the C65 will introduce a new concept in yachting market, transforming spaces into verandas and “look trough” rooms, taking away the sensation of closed spaces, well known limit of the medium - small yacht. The target is to translate the concepts as the high washboard, the big windows, the hangar and bow shapes of the big yachts, into a 20 meters boat that will become the point of reference for the market. The new Bavaria 37 SportHT is presented with the much requested Hardtop design, a common version for the 10 metre plus sports cruisers from the renowned German builder in its recent models. As in the Sport versions it follows the modern cockpit layout offering a generous u-shaped settee with abundance of space and a backward looking sunpad for relaxing. In the forward cockpit an additional seat besides the drivers seat is also made available. The interior features a separate foreship cabin, a very spacious salon with a complete galley, a large head with separate shower and the aft cabin offering two single berths that may be converted into a large single bed. The lower deck is designed to offer plenty of storage space, sufficient head clearance in all the areas including the entrance and a comfortable settee. The new 37 SportHT follows the Sport model enhancements compared to previous models with a particular attention to an improved hard top design for an all weather protected navigation, being it sun or rain. The Cerri 86 FlyingSport is our boat review this month, what is a very innovative yacht from a young builder who based his fortunes offering products always ahead of the times. This young company located in Tuscany started it's fortunes in 1997 with what was at the time a different 28 ft sports cruiser, and still today the same spirit is the driving force behind this custom builder, but now in more important bigger size dimensions. The project of the 86 FlyingSport was announced in 2002 and in 2004 hull no.1 was launched to much acclaim from the public. The admiration and success of the FlyingSport could be seen later in time as a famous builder, 1 year after copied the sport flybridge second helm station in a bigger design, surely this was not the only one as others followed afterwards. The comfort shown in the 86 FlyingSport is truly unique but also different to what a normal 26 metre usually offers. For example the Cerri 86 can offer a maximum of 5 different lounging and dining areas, inside and outside: upper saloon, lower saloon, aft deck, flybridge and forward deck. 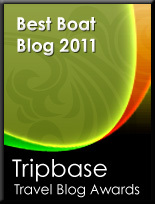 5 years behind, we can say the most innovative and copied, is the one located forward on deck. Another stand out feature is the double saloon area located on different floors, upper and lower deck. The upper saloon reserved mainly for entertainment is located upon entrance on the main deck and the principal dining saloon area is located on the lower deck. The standard lower deck, sleeping accommodation plan is a 5 double cabin layout. Even here the 86 Flying Sport continues to show its pedigree of privacy with a separate owners area forward with 2 double cabins and a Master cabin, all with private en-suites heads and a VIP area located aft, featuring a good sized VIP cabin and a double bunk cabin to starboard. A double crew cabin is located forward. This is a standard layout and all 8 delivered boats have had different plans showing the fully customization of this project from the builder. Another big plus for the 86 FlyingSport is the performance, which can match those of the fastest thoroughbred sport yachts in the market today. Performance are to say the least, impressive, and on the top end of the market, even the small double MTUs 1800hp give a respectable 40 knots, with the fastest option being the latest light weight MTU 2400hp giving an impressive 50 knots top speed. Propulsion is from high speed Arneson Surface Drives, with a matching hull designed on purpose for this transmission giving the best efficiency for the type of fast navigation. The innovation of this product shows how much forward looking Cantieri Cerri is with some important builders only now trying to catch this design philosophy, but I am sure more to come in the future. Carlo Cerri and the 86 FlyingSport truly captured a new way of thinking and created a generation of yachts, offering something fresh and clever. Calling it innovative only for its upper flying bridge second helm station is a minus to the 86 FlyingSport, as it has so many smart ideas, that give so much more compared to other similar sized yachts, being it open, hard top, flybridge or something in between as the Cerri is. Another bonus is the high performance levels, giving maximum speed from 40 knots upwards depending on engine choice. 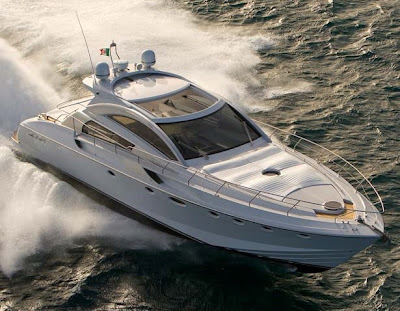 The big Cerri 86 FlyingSport scores on all marks and offers an innovative design with a spacious 5 cabin interior. It gives real satisfaction also for the many owners who want to helm, which is why its water line length is 23.99 metre, which means it can be helmed by you if certified with a full Yacht Master licence. 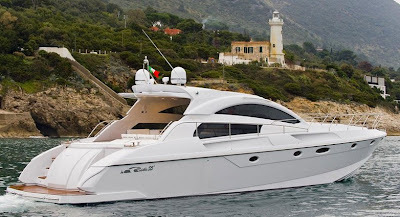 A new model project for this successful company, the new Atlantis 48 follows similar exterior lines as shown for the bigger 55, and the 50 model as designed by Stefano Righini. This is a great project with lot of important novelties like Volvo IPS propulsion and an interior with four different option layouts. The first option choice would be a patio door separation for the upper saloon area, making this area a closed all weather space in a few seconds, instead of the standard open version. The other two options involve the lower deck area: with the standard being a two cabin with saloon and galley down below and the optional offering a third cabin, with double bunk beds and a smaller but functional galley to port side, in respect to starboard as for the standard two cabin version. Other important functions for the new Atlantis are the crystallized hard top and hydraulic bathing platform for tender launching. This soon to come model seems hitting the boxes of current sports cruiser trends, with a variety of interesting options that make her stand out from the competition and what will be hard to match in this size offer. The new Estensi 480 Maine is a the latest comer of this alternative type of motor cruiser, and comes after the good success of the first model the 530, which showed the future path of a versatile, comfortable and economic to run that will be the Maine range of cruisers and yachts. Builder Estensi and designer Maurizio Zuccheri have done a great job by finding a niche in today's market and creating a cruiser with a perfect balance, offering slow economic displacement speeds but also planning ones when time is not on ones side, but still with very little horse power and therefore also less consumption levels. Apart this important advantage the Estensi Maine range is created in giving a comfortable all year round live aboard cruiser, with incredible spaces outside and inside that compare it to much bigger boats. The Salpa 50.5 project, is the new flagship for this Italian builder following the success the 38.5 Laver received since its presentation in 2003 and aiming to keep clients in the brand. The Neapolitan company renowned for building smaller sized boats and entry level sport cruiser with a good sea keeping quality thanks to hull design by Sony Levi, will aim with this new model to keep customers in the Salpa family. 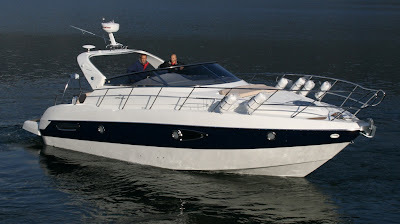 The new Salpa 50.5 will follow current trends in this size range, with Volvo IPS propulsion and a hardtop covered cockpit area which can be fully closed thanks to the patio door. The layout for the new flagship is a separated 2 level area with the upper deck for entertainment use and the lower deck reserved for the 3 cabins with spacious 2 heads, both featuring a separated shower area and a bidet. The new Sealine 35 Sport is based on the lines of the 35 SC presented in September but without the hardtop, allowing passengers and guests to enjoy outside open air environments to the fullest. Something new and unusual from the famous British builder, the 35 Sport is an open in its pure senses giving freedom to enjoy outside and sunny days to the fullest but without forgetting comfortable spacious areas. Spacious light with clean crisp lines offer a modern spacious interior, open and inviting giving elements that combine to create unexpected freedom in an innovative open sporty line. The new sporty Sealine looks at space in a whole new light featuring a wider beam to the competition accentuating the cockpit experience making it open, friendly and inviting. 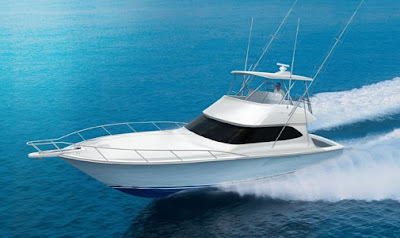 The new Viking 50 Convertible is sure to have broad appeal to both tournament fishermen and cruising yachtsmen. Like all new Vikings, the idea to build a 50 Convertible started with a clean sheet of paper and hundreds of ideas from the design department and tournament fishing teams. That form clearly drives function with this new model and is evident in its breathtaking sheer line. The stem is raked aggressively to slice through head seas for a comfortable ride offshore. 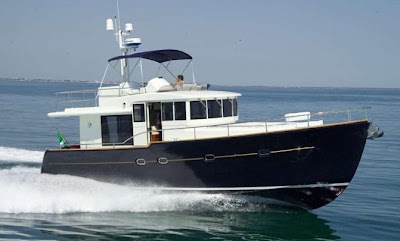 The foredeck, the black-masked deckhouse and cockpit are tastefully proportioned, and with a custom designed Palm Beach Towers tuna tower and aft rail rocket launcher, its sleek profile is elegant yet stalwart. The salon showcase is of discerning design. Entered through a sliding fiberglass door from the cockpit, the rich teak joinery with a choice of high gloss or satin finish and plush designer furnishings provide a most welcome retreat for relaxing and entertaining. A walk-through galley with a convenient Corian-topped island and a pair of bar stools serves as the focal point. To port, an inviting L-shaped lounge with stowage below is accented with a convenient teak cocktail table, while forward the dinette seats four comfortably. Cool air flows from concealed registers behind the valances for better distribution and a home-theater entertainment system features a 37-inch flat screen television. The three-stateroom, two-head layout offers generous comfort and privacy for six. In the master stateroom there is a queen-sized walk around berth with an upholstered head board, mattress and lift top, which exposes plenty of stowage below, reading lights, a large maple-lined hanging locker and an entertainment system. The privately accessed head has Amtico vinyl flooring, a teak-faced Corian counter with built-in sink, a fiberglass shower stall with seat and an electric MSD. Port and forward guest staterooms each offer the flexibility of upper and lower berths and share the second head. A laundry center is located adjacent to the companionway steps. The cockpit, featuring 132 square-feet of usable space is packed with every element you need to take your place in the Winner’s Circle. Viking’s popular observation mezzanine creates two distinct cockpit areas, which allows the crew freedom to move about in the lower area for fishing, while providing guests an unobstructed view of the action. The mezzanine also benefits from shade and spray protection thanks to the flying bridge overhang. Built into the mezzanine are tackle stowage, an under-mounted bait freezer and engineroom access. For added convenience, an insulated cool box for drinks is built into the salon step. Standard power is MAN CRM 1,100 mhp diesels and with a standard fuel load will provide 32 knot cruise speeds and a top end of 36 knots depending upon prevailing conditions and the sea state. An optional power package with MAN CRM 1,360 mhp engines also is available to increase the cruise speed to 36 knots and to provide a top end of 40 knots depending upon load and existing conditions. Tanks are mounted low to maintain the boat’s center of gravity and are fiber glassed into place to contribute additional strength to the hull structure. The 39th edition of the Nauticsud in Naples, Italy comes at the end of the Winter season and on the heels of the much waited Spring time. In the last five years, since Lino Ferrara took the leadership of the show, Nauticsud has concentrated its energy to renovate and increase the berthing space in Naples and all Campania region, to make and give this scenery the deserved prime position in the yachting services on offer. 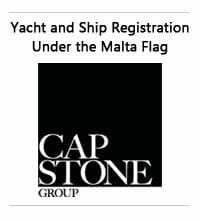 This years edition continues to deal with the berthing problems but also promotes the awareness regarding lack of qualified crew in the Mediterranean and the theme of an efficient after sales service. The trend shown in the Nautical sector in Italy, but also globally continues the double digit growth and the Naples show follows this trend with an expected 9% increase in visitors, estimated at around 150.000. Of the same value, 9% the increase in exhibitors and the water display, has a 10% in more space featuring the renowned Italian and international builders, displaying the latest novelties from small tenders, runabouts up to big 100 feet plus superyachts. World first preview at the show is the much waited new Rizzardi 55 Incredible, having had the privilege to view this build in its construction process, this will be one of the top runners in the 17 metre open hard top category in the next seasons to come. The show starts Saturday 8 March and finishes on Sunday 16 March, what is 9 days for the passionate boaters to visit the Nauticsud and the renowned places in the area. 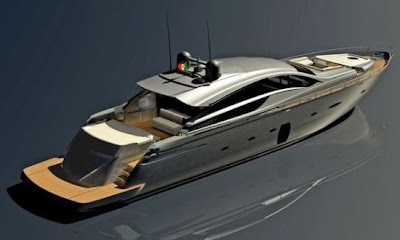 Cranchi, famous Italian builder with a high tradition of quality in the medium size sports cruiser segment presents the much expected new model, the 36 Zaffiro, flagship of the Cranchi Master Cruiser line. The new 36 Zaffiro is a family sports cruiser created around maximum comfort, making life onboard a pleasant one. The new Master Cruiser exterior lines, are of a classic sober design, without taking nothing from the interior space giving the owner and his guests the best use of space, in a more minimal squarish design approach. Cranchi is renowned for the success of its models, which feature a good finished product, top attention to detail and also a very competitive price which is sure the new 36 Zaffiro will have part of it's DNA. The WallyPower line gets larger: the new 64 is the latest model introduced to widen the range of the successful motor boat designs developed by Wally. This 19-meter yacht represents the transition between the WallyTender and larger WallyPower yachts. She fully exploits the WallyPower line concept to integrate design and function, combining large interior volumes with high performance, sea keeping, and wide open air areas. The forward deck is developed to safely enjoy this sunbathing and social area. The glass superstructure, a unique and distinctive feature of the Wallypower line, offers shelter and protection to the cockpit living area, and can be closed by the aft folding door. Under the glass superstructure, the navigation and driving control station is to starboard. The central social area features to starboard a 6-8 people dining table and to port a lounge with a coffee table that can be converted into a second large dining table. Aft is the sunbathing pad with cushions. Three options of the interior layout are available, that differ for the number and type of cabins. All the cabins of the three versions have en-suites. 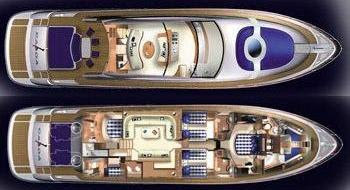 The 2-cabin layout features the owner’s suite aft and the VIP stateroom forward. The owner’s en-suite is the same size of that of the 118 WallyPower owner’s. The 3-cabin layout 01 has the owner’s stateroom forward, and two identical guest double cabins aft. The 3-cabin layout 02 features the large owner’s stateroom forward, one guest double cabin with queen size bed and one guest double cabin with bunks aft. This version perfectly meets the requirements of families with children. All the three layouts feature the galley amidships to starboard, and the crew double cabin with en-suite at the forward end with direct access from the deck. The interior design and styling vary according to the configuration: offering a selection of different styles, each one featuring specific combinations of wood veneers, lacquered woods, metals, fabrics, colours, and details. As a result, each WallyPower reflects the client personality. All the styles are contemporary and perfectly integrated into the overall design. The propulsion system comes into two versions that differ for the engine type and power. 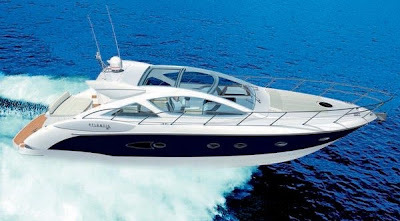 The standard equipment provides two MAN 1,360 Hp for a max speed of 43 knots, the optional equipment offers two MAN 1,550 Hp providing over 50 knots of max speed. Both engine types drive KaMeWa water-jets and provide 300-mile range at cruising speed. The first two units of the new WallyPower 64 model are currently under construction in Fano, Italy with the delivery scheduled in May and in June 2008 for the number 1 and the number 2 respectively. The production schedule for the new WallyPower model is of six units per year starting from October 2008, with five units ready to be delivered before the summer 2009. A new facility is being set up by Wally in the Fano area, dedicated to the WallyPower line, and it’ll be operational in the summer. 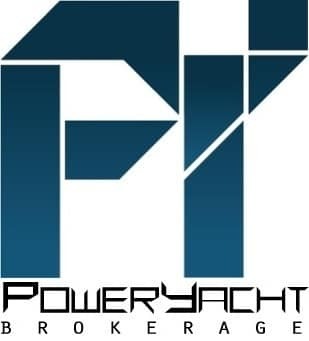 The project for the WallyPower 90 sits in between the 70 model which is now in it's second generation phase and the first model for this fantastic line up of power yachts the 118. The project of the 90 is based on the lines of the latest 70 2007 model and will be available in 3 or 4 cabin version. Superior performance of 40 knots with a pair of 2 x 2400 hp MTUs is estimated along with a seaworthy ride certified by RINA class standards. The 55m WallyPower developed by WallyDesign© department, is a mega yacht characterised by the displacement hull that derives from the navy hydrodynamic technology. Little information have been passed about this important Super Yacht project from Wally, with a length of 70 metres and with lines following the first unit of the WallyPower line, the 118, but in double the size. WallyIsland is a mega yacht of 99 metres in size with all the comforts and amenities to live onboard full time, that is completely independent and self-sufficient, and features improved nautical characteristics compared to those of similar size yachts. Reigning Class 1 World Powerboat Champion Arif Saif Al Zafeen made the perfect start to the defence of his title, winning the Qatar Grand Prix, the opening round of the Class 1 World Powerboat Championship, in an emphatic manner. Partnered by throttleman, Nadir bin Hendi, the Victory 1 duo led for the majority of the 20-lap, 95.60Nm race to win by more than 26 seconds from Qatar 96. Third home, some two minutes further adrift were Victory Team Victory 7. For Victory 1 it was a flawless display after qualifying in Pole Position in what was their first Grand Prix together. Despite being beaten in the race to the first turn by Norway’s Jotun, the Dubai pairing took advantage of their superior set-up to storm past the Norwegians mid-way through the first lap. Despite early pressure from Qatar 95, the Victory 1 crew was never seriously challenged and enjoyed a trouble-free run to the chequered flag. For throttleman Bin Hendi it was a perfect start to his partnership with defending champion Al Zafeen. With twenty points in the bag from the first round of the eight-race series, the Victory 1 crew lead the standings, but they will be well aware of the threat they face this season from runner-up Qatar 96. After surviving a high-speed crash that all but destroyed their boat Qatar 96, during the previous day’s Edox Pole Position, Qatar were forced to turn to their spare boat, powered by Mercury V8 power-plants as opposed to the Skema V12s of their original boat. And second place just 24 hours after being pulled from Doha Bay is more than they could have expected, or hoped for. Equally delighted with third place was Victory 7 Jean-Marc Sanchez, the man who partnered Al Zafeen to the World and European crowns in 2007. With rookie driver Abdullah Al Mehairbi, Sanchez battled trim and engine trouble to stay in the hunt long enough to take third. Less fortunate was the Anglo-Norwegian pairing of Negotiator. Although both men escaped relatively unscathed from their upturned raceboat, 2005 World Champion Eker was taken away on a stretcher and treated for racing fuel in his eyes. It was a disappointing end for Parsonage and Eker who were running in third place and on course for a podium finish, when Negotiator mysteriously lost power, hooked and then rolled on lap 17 of 20. There was equal frustration and disappointment for Qatar 95, who, after passing Jotun on lap two to move into second place, settled into a comfortable rhythm and for the next thirteen laps a podium had looked certain, until an engine problem forced them to slow and lose places, eventually finishing in fourth place. Foresti & Sguardi 8 looks satisfied with the weekend’s finsh after dragging every ounce of performance out of their number two boat to achieve an excellent result, of a precious fifth place. SeveneleveN running in their Michael Peters-designed Victory hull for the first time, and in only their third race produced an impressive showing taking sixth place. But for Jotun 90 this was bitter disappointment. After running in third place for nine laps, a gearbox problem ended their hopes on lap 12. The 2008 Class 1 World Powerboat Championship now heads to Europe for round two and the Montenegrin Grand Prix in Budva on Sunday, 25 May.